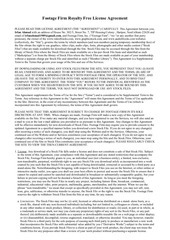 This PDF 1.5 document has been generated by Microsoft® Office Word 2007, and has been sent on pdf-archive.com on 09/02/2016 at 14:39, from IP address 194.209.x.x. The current document download page has been viewed 249 times. Insight”) regarding the use of the Axon Insight Service. 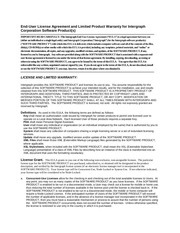 contract between Axon Insight and the customer. can also be concluded via a web form on its website. sends the access data to the customer. functionalities of Axon Insight at any time. processing facilities (servers). Axon Insight is authorised to commission subcontractors to render its services. technical requirements and according to its discretion. Service shall be separately agreed and remunerated. hours on 365 days per year. 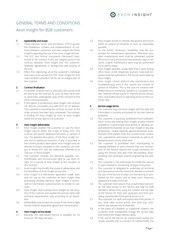 malfunctions in third-party systems or computer centres, network infrastructure or Internet service disruptions, and malfunctions or operating errors at the customer side. whatsoever. Unless explicitly agreed otherwise, unauthorised third parties shall also include sister companies, subsidiaries, and parent companies as well as affiliated business of any other kind. using the Service and also from decompiling, disassembling and otherwise reverse-engineering the software. or parts thereof or introducing changes of any kind. of the Service for their own purposes and from providing unauthorised third parties access to it. any, shall keep access points and data (e.g. usernames and passwords) confidential. and notify Axon Insight without delay. the applicable legislation in his jurisdiction. into the Service for use by the customer. Data shall not be made available to third parties. Axon Insight may use anonymised data and nonperson-related analyses for all licensees. Switzerland or in the European Union. against access by unauthorised third parties. payable by customers within 10 days of receipt. remain due in such cases. and is not entitled to assign claims without the approval of Axon Insight. Axon Insight is authorised to adjust the license fees. Such adjustments are to be communicated to the customer 6 months in advance. 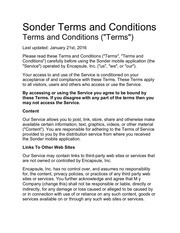 Content Data for the contractually agreed purposes. utilisation pursuant to these GTC. from a violation of its contractual obligations. This liability is limited to the sum of the annual license fees. as regards both content and presentation. with the use of the Service and of the Content Data. customer in conjunction with the use of the Service. these GTC, or is unlawful. and the associated software, the source code, concepts, methods, and mechanisms, etc. a) Any circumstance that would make it unreasonable for a party to uphold the contractual relationship until it can be terminated under the applicable provisions. b) Any use of the Service that constitutes abuse, violates these GTC, or is unlawful. against a party or liquidation of a party. to the customer 6 months before they become effective. If individual provisions of the contract prove to be invalid, incomplete, void, inoperative or unlawful, the validity of the agreement shall not be thereby affected. possible in terms of its commercial effect and content. by the courts at the domicile of Axon Insight. later than the date on which the contract is terminated. This file has been shared by a user of PDF Archive. Document ID: 00338697.